Тhe Joint Monitoring Committee of the Interreg - IPA CBC Programme CCI Number 2014TC16I5CB006 will hold a session on 30 January 2018 in the town of Kyustendil, Bulgaria. Due to planned maintenance and installment of new functionality, the Beneficiary portal and the MIS system under the Interreg - IPA CBC Programme Bulgaria - the former Yugoslav Republic of Macedonia 2014-2020, will not be available in the period from 12:00 h. (ЕЕТ) on 14.12.2017 until 18:00 h. (ЕЕТ) on 15.12.2017. On the 27th September 2017 in organization of our Interreg - IPA Cross-border Cooperation Programme held a celebration of European Cooperation Day 2017. 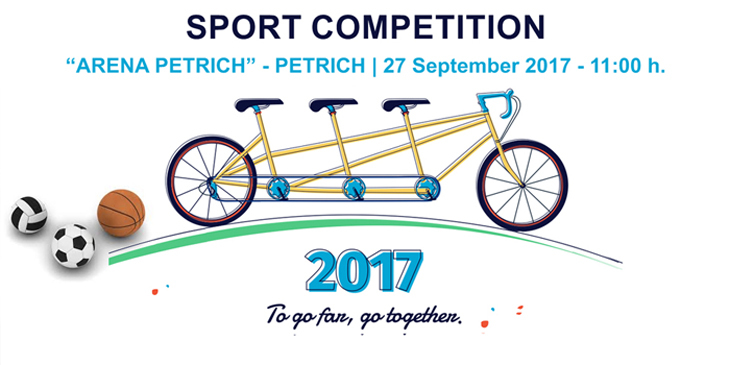 The celebration took place in “Arena Petrich” sports hall in Petrich. The official guests at the event were: Mr. Suhejl Fazliu Minister of Local Self-Government; Mrs. Denitsa Nikolova, Deputy Minister of Regional Development and Public Works; Ambassador of the Republic of Macedonia in Republic of Bulgaria H.E. Marjan Gjorchev; Mr.
Orchestrating hundreds of local events, sixth year in a row, the European Cooperation Day will be celebrated across Europe in September 2017. The campaign, coordinated by the European Commission in cooperation with the Committee of the Regions and the European Parliament is to present to the public the achievements of cooperation between the European countries and regions.